Fishing and golfing news has never been so exciting. Every Wednesday we like to bring you a round-up of all the biggest games heading to the App Store at midnight - and this week's shaping up to be a corker. 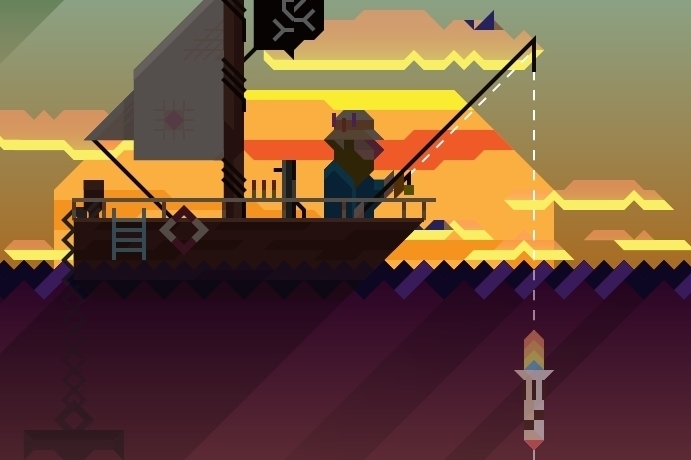 Vlambeer is bringing its long-awaited title Ridiculous Fishing to iPhones and iPads, and then there's the equally exciting sequel to Super Stickman Golf. Read on for the complete lowdown on all the new games you need to know about. That's how we like a trailer on Modojo - short, sweet and to the point. In case that wasn't quite enough information for you, Ridiculous Fishing is game about taking to the seas, dangling your fishing line as deep into the oceans as you can, then scooping up as many different species as you can on the way back up. Oh, and once they reach the surface they fly into the sky, and you have to shoot them with a variety of devastating weapons. Definitely one to look out for. This visually stunning game from High Voltage Software puts you in control of a miniature Count Dracula character as he roams through a forest, oblivious to the dangers all around him. Well-timed flicks, taps and swipes are the order of the day here, and there are bags of upgrades to spend your game coins on too. And then there's the sequel to a small game you might have heard of before called Super Stickman Golf. This follow-up retains all of the awesome silly golf action the mobile world fell in love with, while packing in more courses, more features and a handful of multiplayer modes. We'll be reviewing this one for you tomorrow, and we can only hope it's been worth the wait. Take a treasured sci-fi franchise with an obsessive fanbase, turn it into a mobile game, and then charge an eye-watering fee for it ($6.49 NZD over on the other side of the world), and history will say you have all the makings of a complete disaster on your hands. That may be a bit hasty on this occasion though - this third-person action game features voice-over work from the original Stargate cast, and a story crafted by Stargate novelist Sally Malcolm. With that said, it's probably best to keep an eye out for reviews before taking the plunge.